It’s not easy to make a series of prequels that backfill exposition in a universe so established as Harry Potter. And yet, the final trailer to Fantastic Beasts: The Crimes of Grindelwald would indicate that not only is J.K. Rowling having an easier go at it than most, she’s having a lot of fun with it as well. Check out the exhilarating happenings for yourself, below. 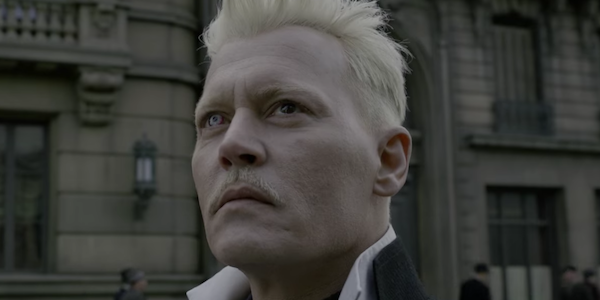 Set years after Fantastic Beasts and Where to Find Them, The Crimes of Grindelwald naturally sees Johnny Depp’s titular wizard escape custody, only to start raising an army to kick off the war to end all wizarding wars. And, of course, this means that Newt Scamander is also still in play, trying to prevent such a dangerous event from occurring. Though in this new adventure in a familiar franchise, there are some exciting new characters and locations we’ll be seeing in this second chapter in the Fantastic Beasts saga. We’re given more footage of Zoe Kravitz’s debut as Leta Lestrange in the new Fantastic Beasts: The Crimes of Grindelwald trailer, as well as a better understanding of how Newt comes to find himself in Paris. Apparently, Dumbledore knows a good safe house to stay at, should one find themselves in the area; and as we all know, the city of lights is going to be an important location for Mr. Scamander in the film, so it’s good to know his mentor is looking out for him. But most intriguingly, we see Callum Turner’s debut as Theseus Scamander, Newt’s war hero brother, in this latest trailer. Engaged to Leta, it looks like he’s still war ready on the behalf of the Ministry of Magic, and chasing Newt and his friends for some unknown reason. But there’s something pretty big that drops in this trailer, and it’s in the simplest of ways. It’s a name that J.K. Rowling herself teased when we saw the trailer at yesterday’s VIP event in New York. As we see Credence caught up in the wizarding circus that occupies part of Fantastic Beasts: The Crimes of Grindelwald, he whispers the name of a fellow captive: “Nagini.” Now there’s a lot to unpack about just what the significance of this name is to the Fantastic Beasts world, but suffice it to say, when Claudia Kim’s character was revealed to have that name, a lot of light bulbs went off in the crowd, as that name just happens to belong to Voldemort’s pet snake / final Horcrux challenge in the Harry Potter saga.